Have you ever felt like you should do something else with your money to increase your savings potential? Or maybe you feel like you should find some way to take the savings you’ve already got and make it work for you? Then again, maybe all you want to do is increase your income and live a more comfortable life. You’re right, this does sound like many late night infomercials trying to get you to sign up for a product or talk to some professional. However, there is some merit to what they’re saying – sometimes. 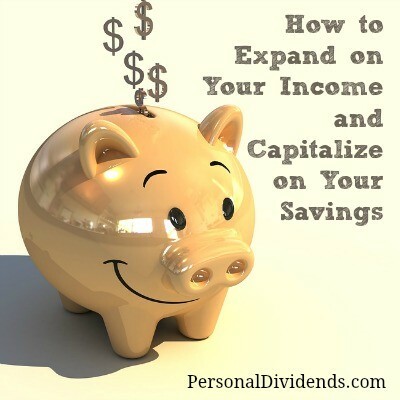 Many people want to learn how to increase their income and savings without being put out. Whatever your mode of savings is, you can always make it work just a little bit harder. Try to put aside a certain amount of money each time you deposit into your savings. Perhaps, you can set up a percentage that you want to use, this way you’re not varying your requirements. You don’t want to give yourself too much leeway here because it’s hard to get back up on that train once you’ve fallen off. After you’ve set the percentage, go ahead and find a trusted banker or investment professional. These individuals can help you sort out your money, talk to you about your goals, put you on the right path to figuring things out based on what you want. You wake up every morning; you put your clothes on one limb at a time, and you head to work. Every day, you sit in traffic, do your job, eat your lunch, make a decent sum of cash, go home and get ready to do it again the next day (except weekends). For some of us, that’s a great scheduled and routine way to move through life. For others it’s a little dull; we don’t quite understand why we keep doing it, especially since most of the money we bring in goes towards bills, responsibilities, and, potentially, other people. Relax, there are ways to make your income stretch a little bit further, and we aren’t talking coupon clipping. You can supplement your income with investments and freelance work. For example, you can begin by freelancing. Everyone has something that they’re good at that they can capitalize on. Take the money from any freelance work you do (it doesn’t have to be all of it) and being investing in something. You can invest in stocks, in your own accounts, in just about anything you can think of within the legal scope of things. Perhaps, you can even pick up a job with an investing company. Feel free to utilize anything at your disposal when it comes to getting a foot in the door. You are going to want to keep your head up, as these times can be a little bit trying. However, when the payoff comes it will be well worth it and you’ll be glad that you stuck with it. Finances can be a major pain. However, with folks backing you up and your ambition at your side, you’ll be able to keep pressing forward without worrying too much about what you’re going to do about your next big bill, or how you’re going to make ends meet. If something you’ve been doing for several years doesn’t seem to be giving you any return, maybe it’s time to start doing something else and stepping outside of your comfort zone in order to make yourself feel just a little bit more secure in this time of insecurities and economic busts. You have control over what you do with your finances, now it’s time to embrace it.